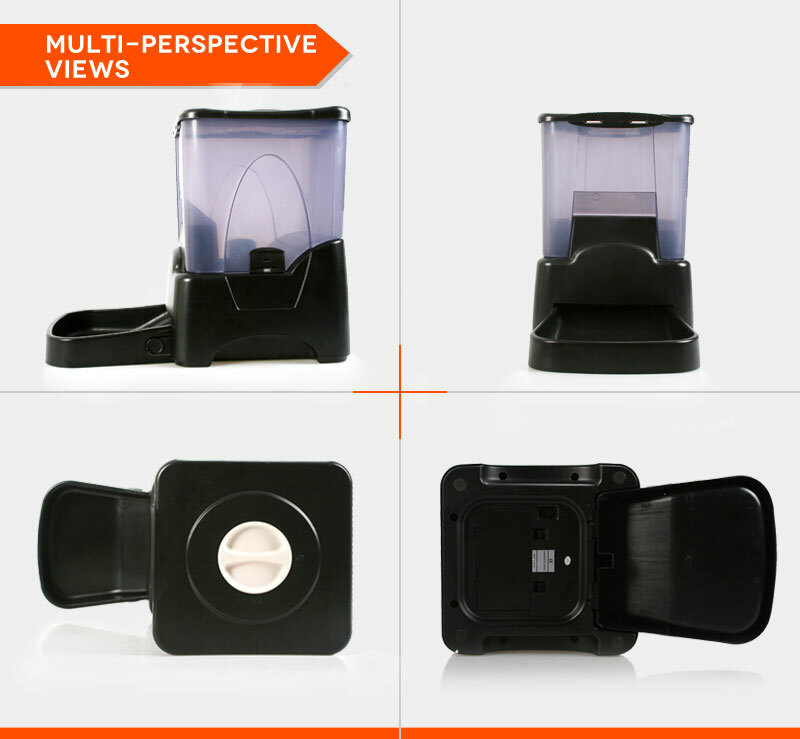 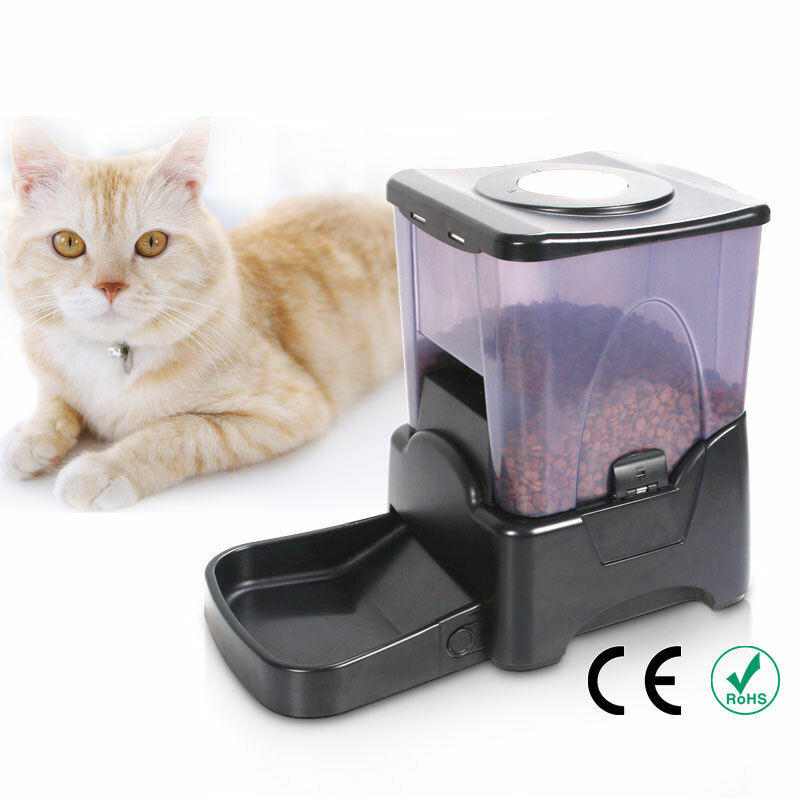 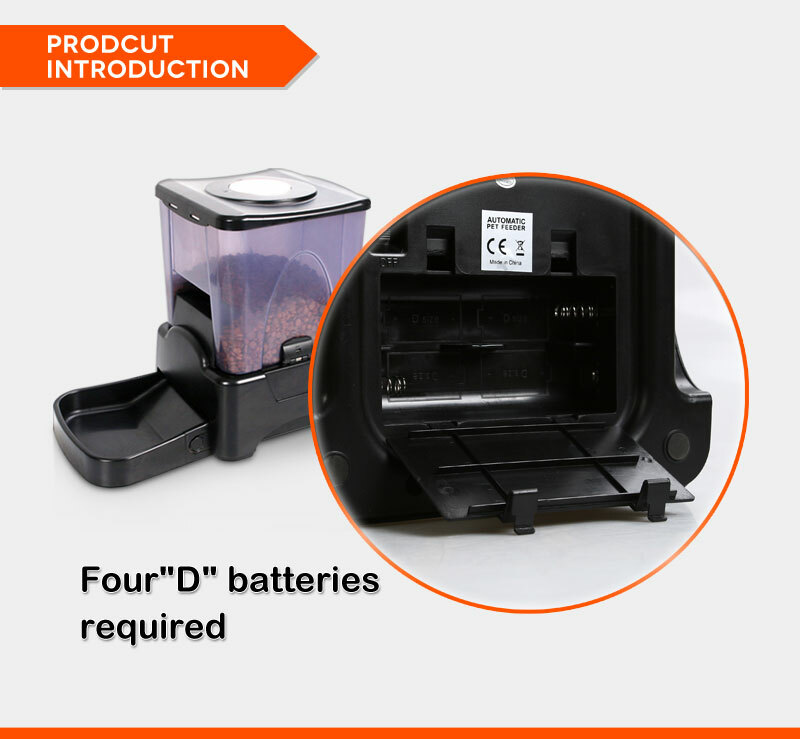 The PF-10A High Capacity Portion Control Automatic Pet Feeder Food Dispenser is a smart feeding machine that automatically dispenses cat or dog food for you. 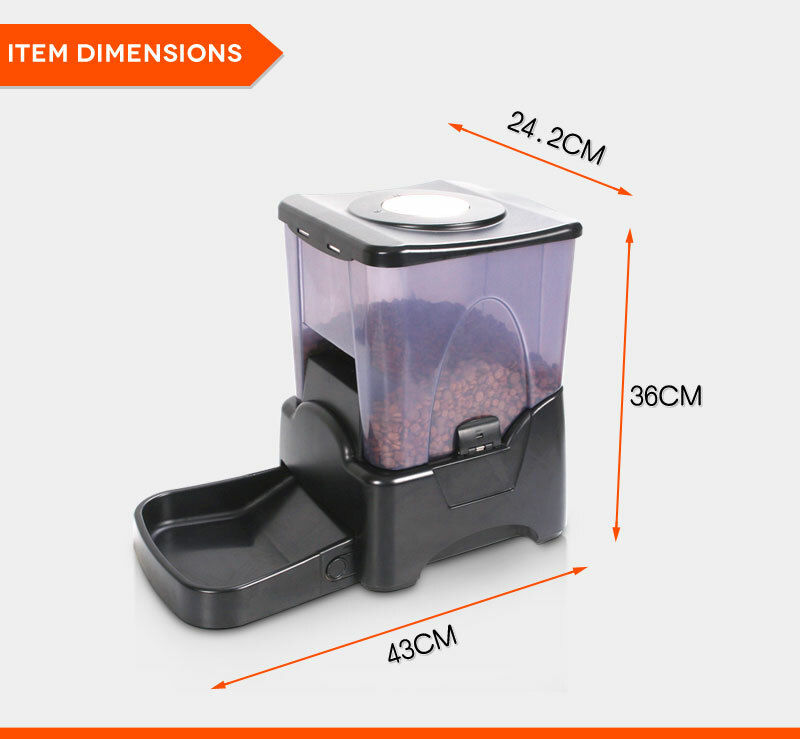 Clear, high-capacity reservoir is capable of holding around 4kg food. 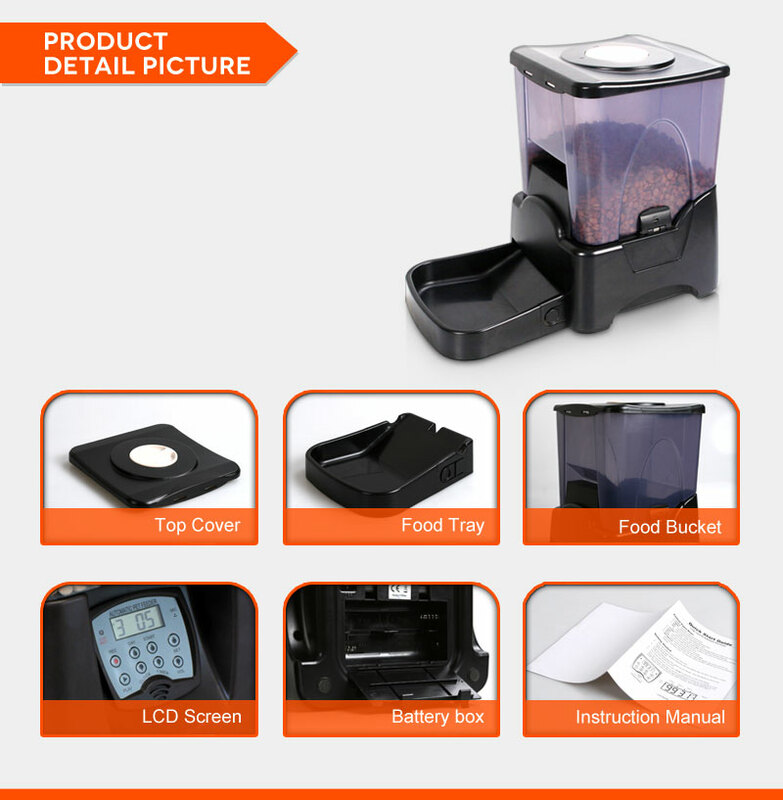 You can set the portion size and feeding times, up to four per day, on the large LCD screen. 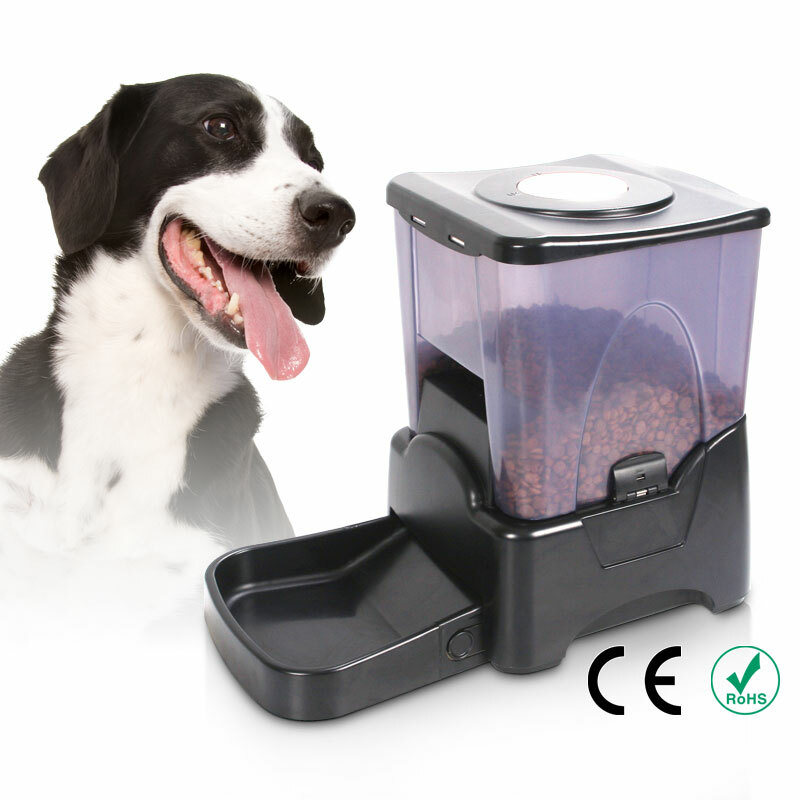 The machine also supports manual operation so you can give food whenever needed. 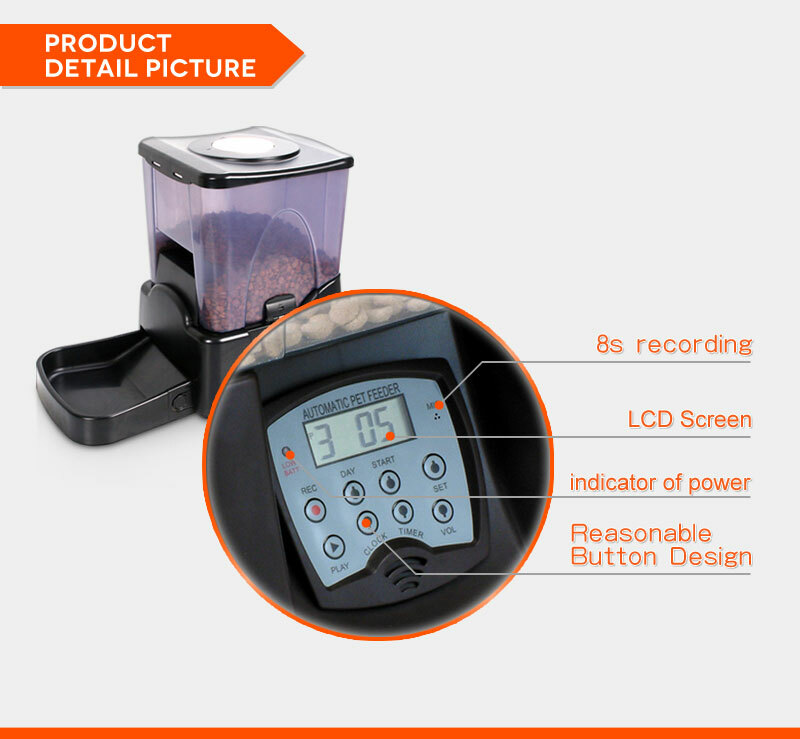 In addition, it is built with voice recorder and reminder for more convenience. 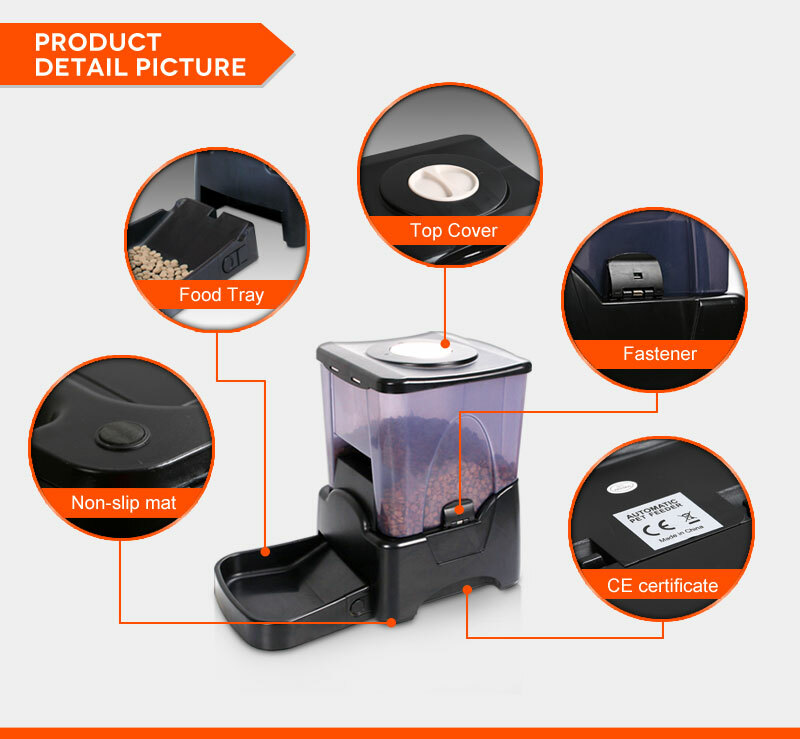 Isn't it brilliant? 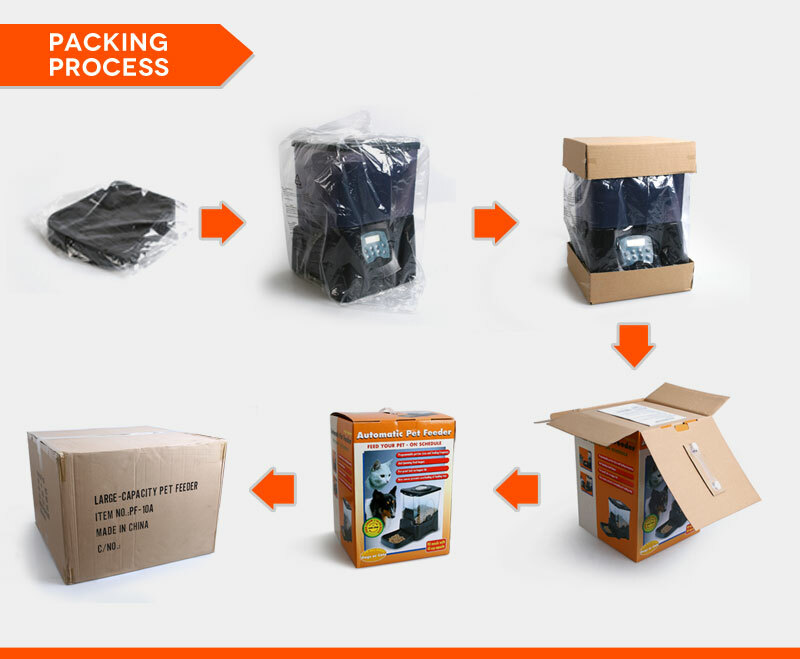 Click and bring it home now!